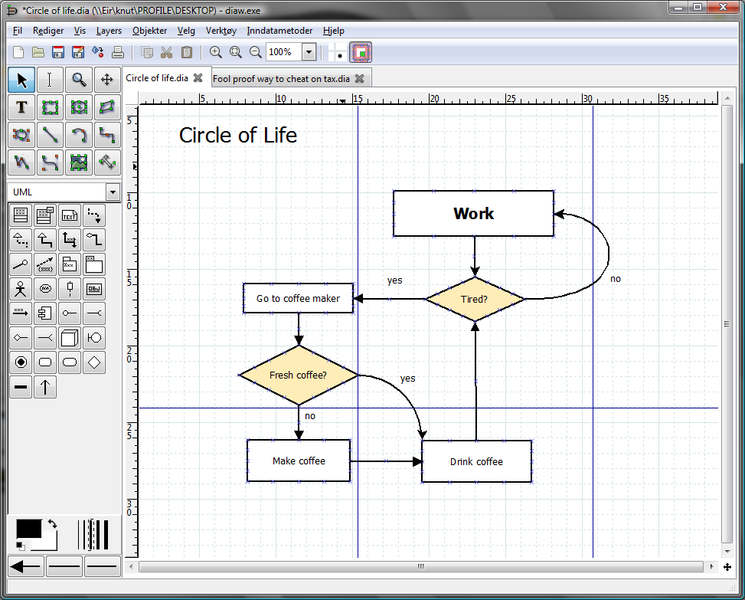 Dia can be used to draw a variety of diagrams to suit your needs, such as entity-relationship models, UML diagrams, flowcharts, network diagrams, and simple circuits. It can load and save diagrams to a custom XML format, and export diagrams to a number of formats including EPS, SVG, XFIG, WMF and PNG. 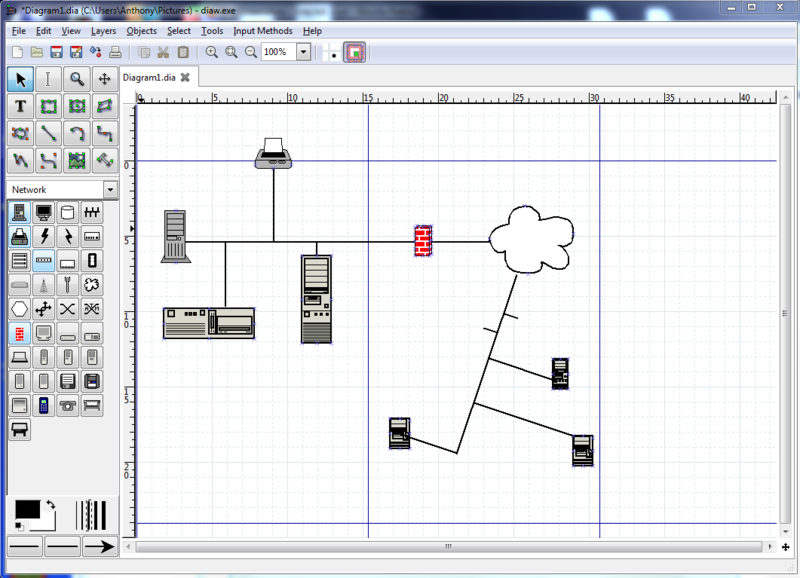 You can also print diagrams, including those that span multiple pages.